Judging by the latest image, the updated Tata Tiago facelift will come with a new headlamps similar to the Altroz, along with a new sportier front bumper. 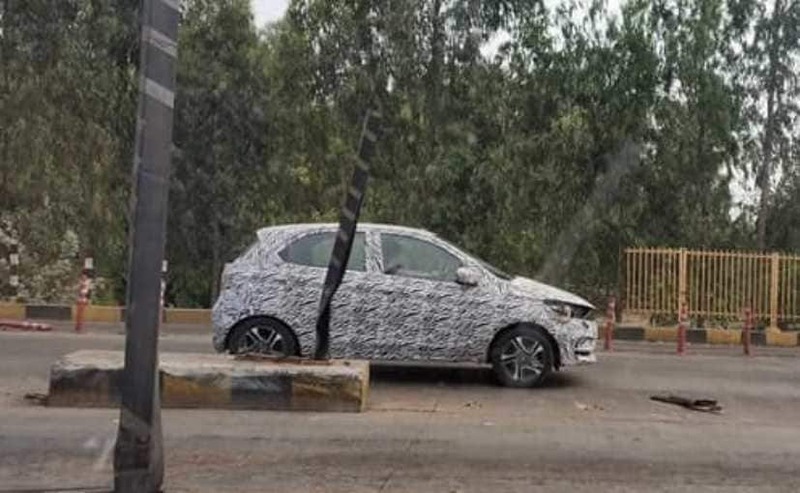 The Tata Tiago facelift was recently spotted testing in India, and judging by the looks of it, the car will go through some considerable changes. While we do not get a close up of the car here, the image is clear enough to see that the updated Tiago will get a new face, with sleeker headlamps similar to the upcoming Tata Altroz, which was unveiled at the Geneva Motor Show. Considering that the Tata Tiago is about to complete three years in the Indian market this April, this is the right time for the carmaker to introduce a facelift for the car. While the heavy camouflage on the car doesn't reveal much about the upcoming 2019 Tata Tiago, but along with new headlamps, the car will also get a new front bumper with sportier details and new foglamps. It is also interesting to see that this test mule of the updated Tiago is running on the same dual tone 5-spoke alloy wheels seen on the top-end XZ+ variant, however, the production model could come with new alloys. Considering the fact that Tata Motors is planning to introduce a new entry-level hatchback in India, the updated Tiago might come with a bunch of premium features and equipment that will place it a segment above. Features like - projector headlamps, LED daytime running lamps, and LED taillamps on the outside, while the cabin could feature premium interior, a new touchscreen infotainment system with Apple CarPlay and Android Auto, and improved safety features. However, at this moment these are just speculations. 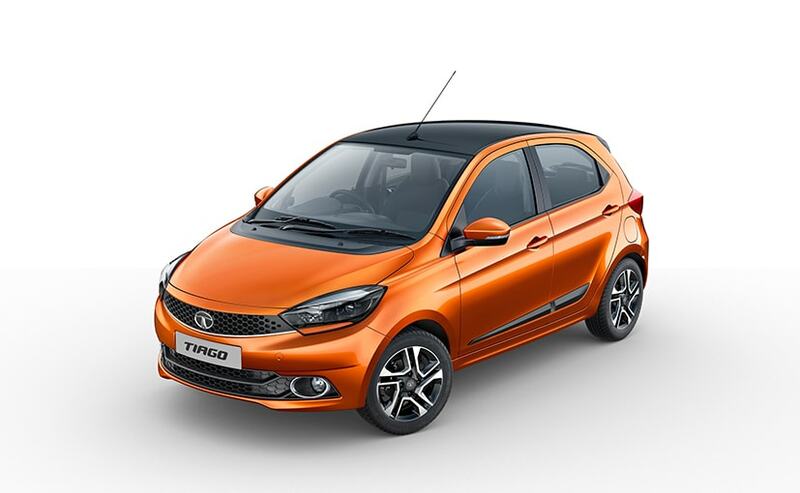 Tata has already confirmed that the next-generation Tiago and Tigor will ditch the diesel engines after BS-6 kicks in from April 2020, owing to the fact that the company is seeing greater demand for petrol models. This is mainly because the investment involved in converting a BS-4 engine into BS-6 is considerably high. Whether the upcoming Tiago facelift will continue to get a diesel option or not is too soon to guess, however, if Tata does decide to launch the facelifted Tiago as petrol only, we wouldn't be surprised. Currently, the car is offered with a 1.2-litre three-cylinder Revotron petrol engine and a 1.05-litre three-cylinder diesel engine. While the former makes about 84 bhp at 6000 rpm and 114 Nm of peak torque at 3500 rpm, the oil burner belts out 68 bhp at 4000 rpm and 140 Nm of peak torque available between 1800-3000 rpm. Transmission options include a 5-speed manual and AMT units available with either engine. The Tiago JTP uses the 1.2-litre turbocharged petrol engine with 112 bhp and 150 Nm of peak torque.